Winter is coming, and even if you are not a game of thrones fan you should keep reading on this blog because you have a house and you need to keep it warm during these grey cold times. Here’s our blog on why you need to get ducted heated cleaning done. Tom’s highly trained air duct cleaning service professionals recommend to get your air ducts cleaned only once a year. But we would advise you to get your residential or commercial duct cleaning done when met with the following reasons. It is never okay to ignore these signs you could at least get a professional to come and take an overview. Call up your air duct cleaning services when you notice any of the under mentioned. Your regular dusting will not be enough to save you from breathing in the unhealthy air blown out by your air ducts. Since, dust particles, allergens, bacteria and other unhealthy particles get collected because of its obvious functionality. This dirt collected is not just collected on the grills, but in the insides and nooks and niches of the entire ducts and vents. Thus you need to get them cleaned by a professional to start breathing healthy air. If you are having unexpected breathing problems, throat or skin, irritation and infection then your dirty air ducts could be a problem. Air ducts with time if not cleaned and maintained collect a lot of fungus, molds, bacteria, allergens, pollen and dust particles. This can cause breathing problems and things could be more serious if you have infants in your home or if someone is suffering from breathing problems. Do you find your furniture laden with dust everytime you visit home at the end of the day? Do you have to dust your furniture daily? 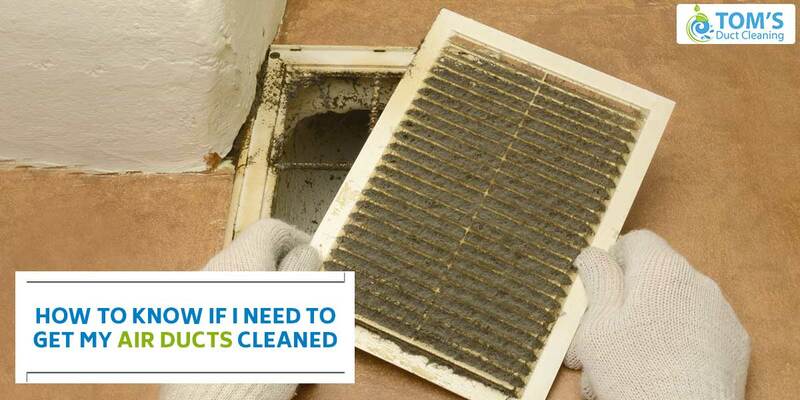 This could be because of your uncleaned air ducts. Also when dirt percolates in the air ducts it loses its efficiency too. As the dust percolates the cooling capacity and heating capacity of your HVAC system decreases inevitably. During winters the heat exchangers get clogged with dust and dirt. Meanwhile, in summers condensing coils when dirty cannot cool the air. These conditions also make it difficult for the air to ventilate, thus making the indoors dirty and damp.